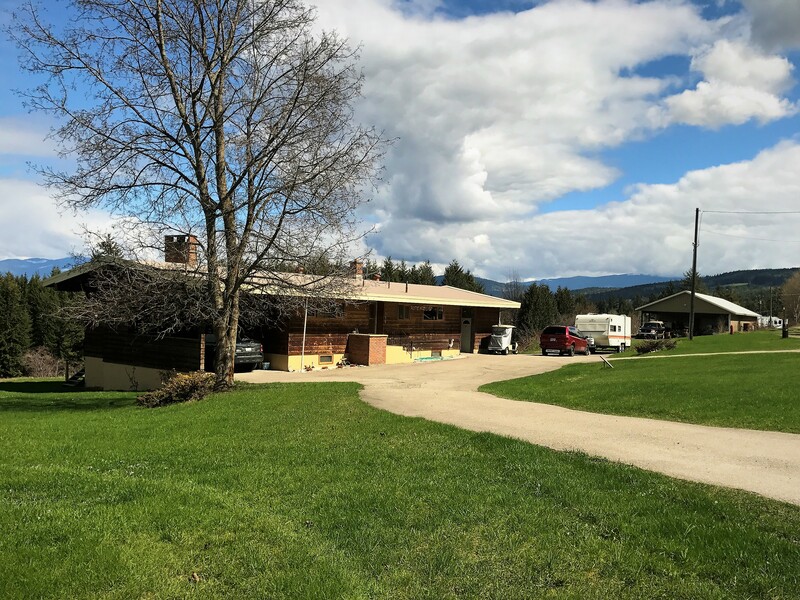 AN EXCLUSIVE OPPORTUNITY (Not on the MLS) ONE PARCEL - TWO TITLES - MANY OPTIONS 11.31 acre total parcel comprised of two titles and zoned Rural Residential 1 (RR1) within the Columbia-Shuswap Regional District (CSRD) South Shuswap Zoning Bylaw 701. It has also been designated as Village Centre (VC) in the CSRD Electoral Area C Official Community Plan (OCP) Bylaw 725. It is located to the West of the developed village centre area of Sorrento and has good visibility from the Trans-Canada Highway. TITLE #1 – 1079 HURSTFIELD FRONTAGE ROAD: This parcel is 0.51 acres in size and has a 3 bedroom/2 bathroom wood framed bungalow on full walkout basement (could be suite-able), with an attached single carport and an elevated deck off the main level. The home was built in 1967 and is accessed by a circular asphalt driveway. TITLE #2 – 1085 HURSTFIELD FRONTAGE ROAD: This parcel is 10.8 acres in size. It has a 60 x 32’ shop with a carport at either end of it giving it a total footprint of 99 x 32’. The shop contains washroom facilities, and the property has its own septic system. This property can also be accessed from the West side via Coates Road, as well as the East side via Vimy Road. All in all, this is an amazing parcel which has infinite possibilities for development, or which can be enjoyed as it is now: a private home and acreage. Concepts explored by the current owners have included subdivision for single family dwellings or cottages, and also an adult living strata complex with possible commercial space. Come explore the property and see what you could envision. OPTIONS: LIVE on the property and enjoy it as is. DEVELOP as part of Sorrento Village Centre. INVEST/HOLD for future consideration. BRING YOUR IDEAS!